Situated on the north bank of the River Thames, Westminster is a part of central London with a fairly select range of not-so-modestly priced property; if you’re after a swish urban flat then you should be in luck. At My Home Move Conveyancing we can help you take advantage of the local market – we have been increasing our expertise of the area since 2002, allowing us to deliver a specialist, fixed fee conveyancing service to our clients in Westminster. When buying or selling property in Westminster, you’ll require the services of a lawyer to help you complete the required legal work. 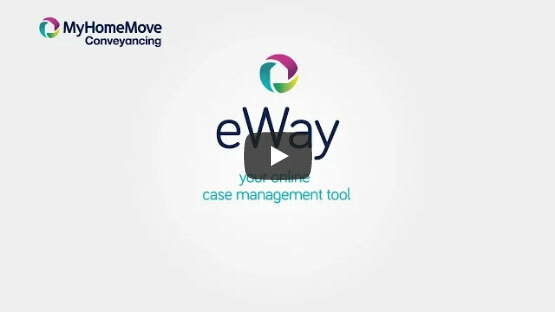 As your Westminster conveyancers, My Home Move Conveyancing can offer you award winning customer service, which we combine with our innovative use of technology and extensive knowledge of local markets. Our conveyancing service is fixed fee, meaning you can plan for exactly how much you’ll pay us, with no extra hidden costs to worry about. Moreover, if you don’t end up moving, you won’t have to pay us anything in legal fees. We will assign you a dedicated conveyancer who will oversee your case from start to finish, providing you with a constant point of contact and regular progress updates. At My Home Move Conveyancing we are proud to supply our conveyancing services in Westminster to customers purchasing a wide variety of homes across the celebrated area, including spots close to the abbey, cathedral and Thames. The average house price in the City of Westminster is £1,057,034, while last year most sales in Westminster involved flats which fetched an average price of £1,176,472. Terraces went for an average of £3,113,909 and semi-detached properties sold for £4,458,661. With a range of iconic landmarks, Westminster is the home of the UK parliament and a much sought after place in terms of property. The settlement grew up around Westminster Abbey and the Palace of Westminster, which now plays host to the Houses of Parliament. The neighbourhood is leaving behind a reputation of being a traditionally quiet spot, with waves of newfound creativity accompanied by trendy bars, restaurants and modern apartment schemes. Of course one of Westminster’s major selling points is its wonderful location in the heart of London and in the midst of so many world renowned landmarks including Buckingham Palace. Westminster has its own eponymous tube station on the Jubilee and Circle and District lines, while St James’s Park also serves the area. The closest motorway is the M1, which can be reached by heading north towards the North Circular, and also offers access to the M25. Local schools in the area include St Matthew’s, St Vincent de Paul and Burdett-Coutts and Townshend Foundation CofE at primary level. Pimlico Academy, Lilian Bayliss Technology School and London Nautical School are among the secondary options in the area. For higher education the range of London’s universities are on Westminster’s doorstep, including the University of Westminster, University College London, Imperial College London and King’s College London. All properties in Westminster will fall within one of the following council tax bands.